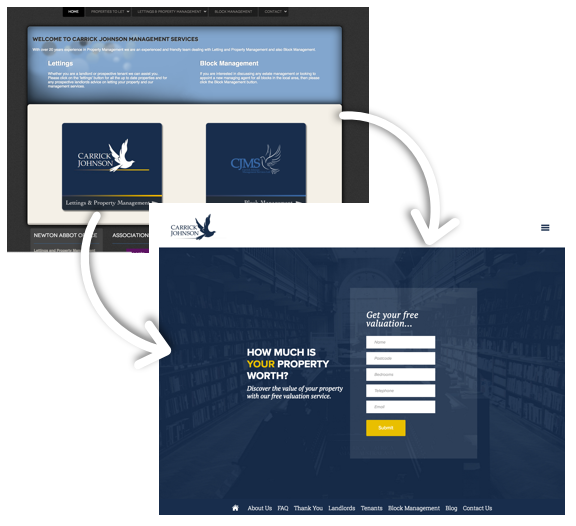 Carrick Johnson Lettings & Property Management needed a complete overhaul of their website. Their old site lacked focus and failed to implement their brand. Expandia were able to design an entirely new website that hit the mark. We implemented their current brand and colour scheme but also extended and massaged it to fit. The result was a fresh visual style but a website that is still on-brand. Visually speaking, this is one of our favourite designs to date. One of the primary goals for the new website was for it to produce more leads. These leads come in the form of submissions through the website form. To ensure as many users as possible converted into leads, we designed a new form and placed it right at the top of the site. 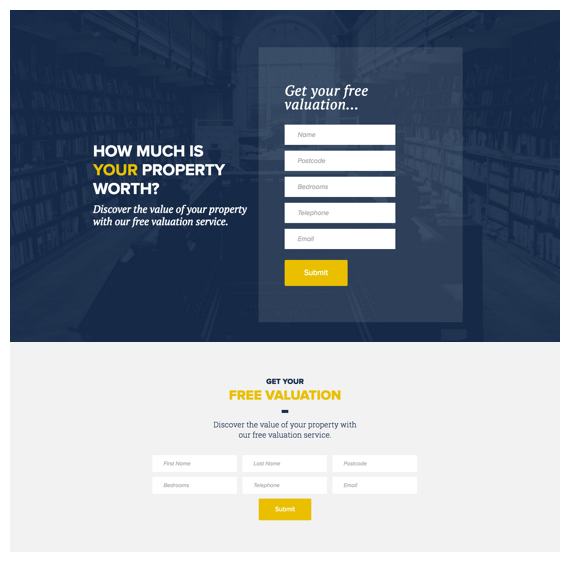 The form encourages users to "Discover the value of [their] property with [our] free valuation service". Users then fill in the form and are contacted by a member of the team. By basing the design of the homepage around this form, we gave it prominence without it feeling overly pushy. Combined with a second form which sits seamlessly at the bottom of each page, we achieved the brief of generating more leads and converting more visitors. The approach we used here is a great example of designing a website around it's core task. Something a templated website will always struggle to do. The website needed the functionality to allow staff to create and edit property listings. 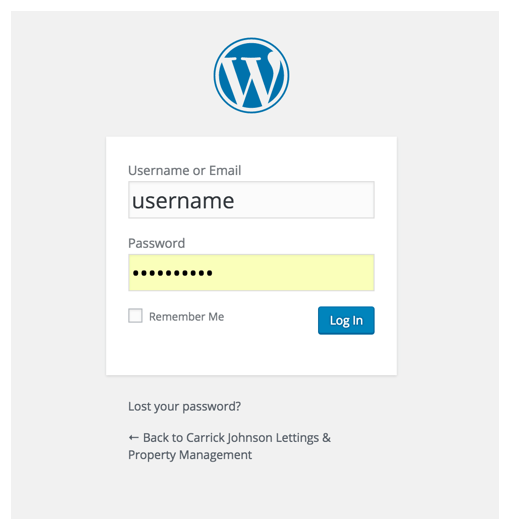 We achieved this by creating a hand-crafted property management system, with Wordpress working for us in the background. The staff are able to login, create properties using a number of pre-defined fields (property-type, town, price etc) then push the properties to the the live site for their potential tenants to view. The system needed to be simple enough for the staff to use yet complex enough to allow visitors to, for example; sort by price, see properties on a map, search by post-code and many more features. This is just one example of a system which adds to a traditional website structure. Systems like this this are not only a breeze for us, they're one of the most fun parts of our job, too!